1. I need to...vacuum out my car. 2. Finding a job is what's on my mind most lately. 3. When I talk to my best friend, we laugh a lot! 4. Drinking lots of water is what's working for me lately. 5. I recently saw A robin peering through my window. 6. Blue skies and sunshine fills me with joy! 7. 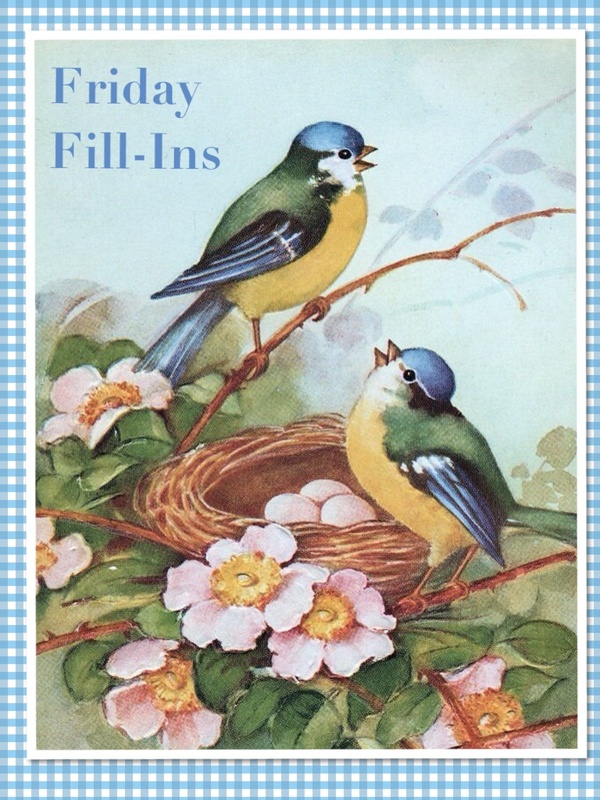 And as for the weekend, today my plans include cleaning the house, doing laundry and having my grand-dogs come for a visit and Sunday, I plan to go for a walk with the dogs and enjoy the beautiful weather! 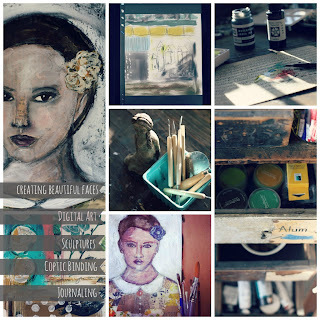 Lately I've been taking some e-courses in an attempt to get my creative juices flowing again. 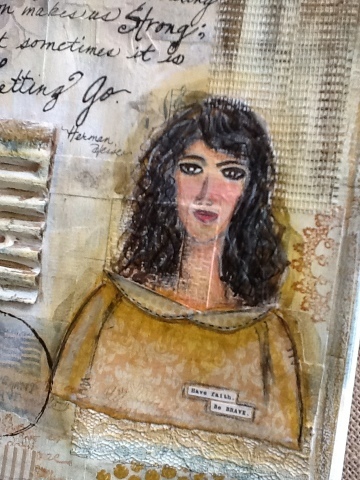 Jeanne Oliver's most recent class called, The Journey of Letting Go - Creating Beauty From Ashes, is the one I have immersed myself in lately. We've been making a variety of journals (the one shown here is a canvas covered saddle stitched journal) which is great for me because it seems as though the only "art" I've managed to do lately is journaling. I love working with textures and various mediums, although sometimes I have to push myself to try using things that are not in my typical arsenal of tools and courses like this remind me to do that. It's good to leave our comfort-zone once in a while and discover new things, although going "outside the box' is usually a scary thing for me to do. Good morning! 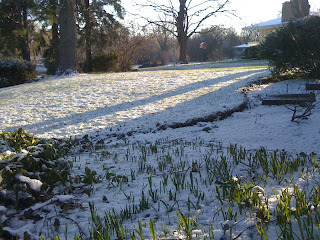 I was surprised to see snow covering the ground this morning when I looked out the window! However nothing really shocks me after the events of this crazy week. The weather, the world, things in my personal life - all things that I could always count on have suddenly turned topsy-turfy and no longer can be counted on. My whole definition of what "normal" is has changed during this very long week. But I guess that's what life is really all about - change! 1. Right now I'm watching Rehab Addict. 2. Procrastination is my well known quirk. 4. Work first, then play! 5. I have a lot on my mind, that's why I have trouble sleeping. 6. Doc Martin is one of my favorite tv shows ever! 7. 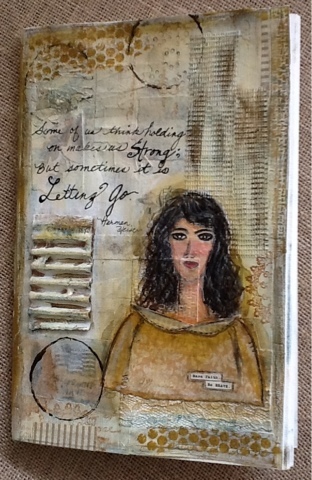 And as for the weekend, tonight I'm looking forward to working on my journal for Jeanne Oliver's e-course, tomorrow and Sunday my plans include finishing up my taxes! 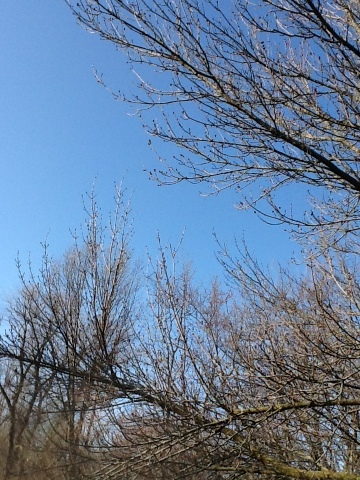 Could it be possible that Spring is actually here? Shhhh....don't say it too loudly! I don't want to jinx anything. We had some sunny and mild temperatures the past few days and color is popping up all over. I spied these yellow crocus on the side of a small hill on my property. There are snow drops and blue scillia too. 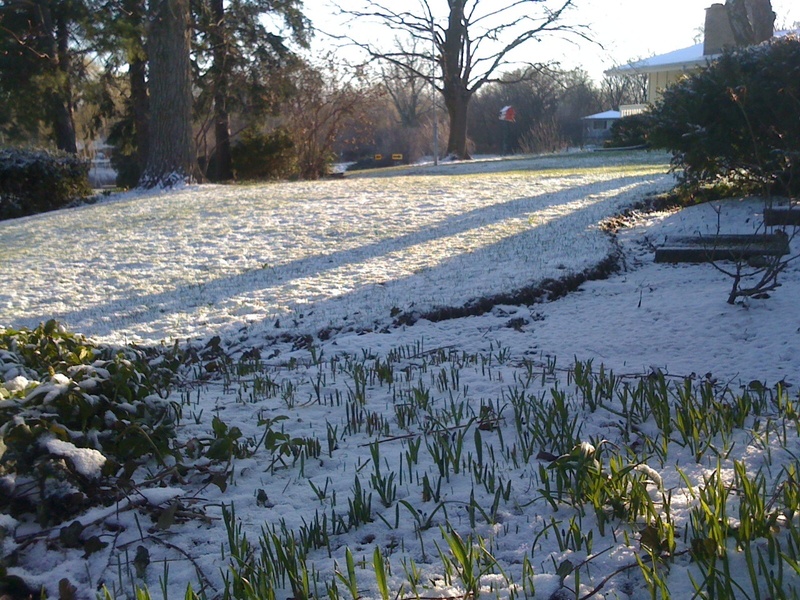 The tulips and daffodils are going to be blooming next! 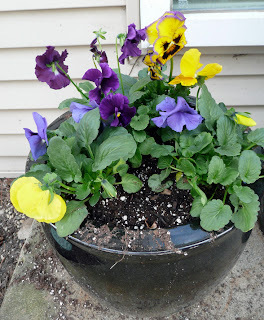 I got so excited that I picked up some pansies at the garden center to plant by my front door. Next I put together a new springtime decoration on my front door. 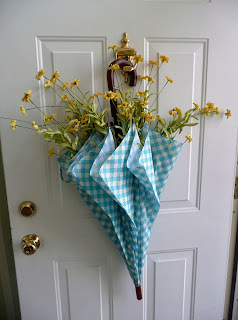 I picked up the umbrella and flowers on sale last week at Hobby Lobby. I've had this shabby chic bird cage for many years and have used it in various ways throughout the house. 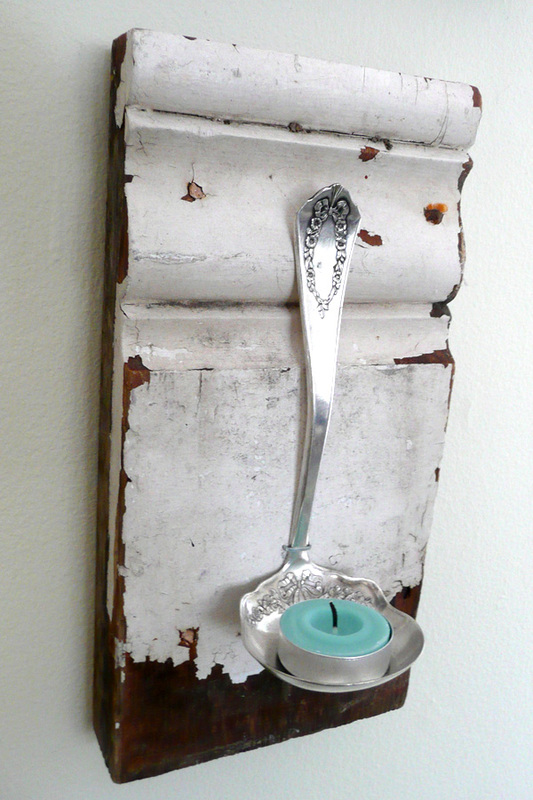 I've put candles in it and at Christmastime I set up a Nativity Scene inside of it. 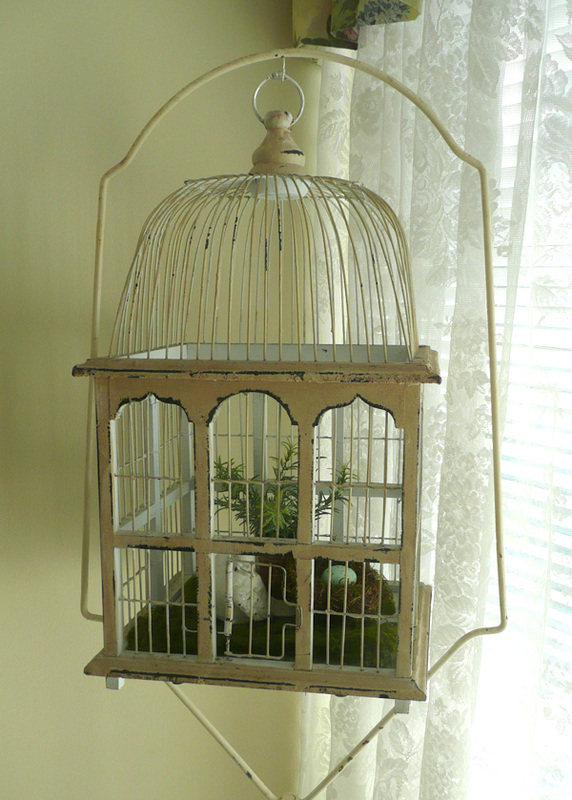 After years of searching, I finally was able to track down a bird cage stand for it last month so I could hang it by the window. 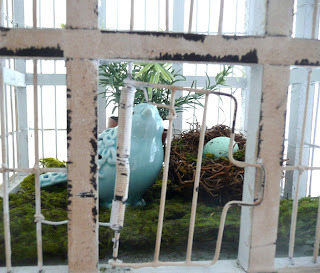 I love how there are little birds on the base. 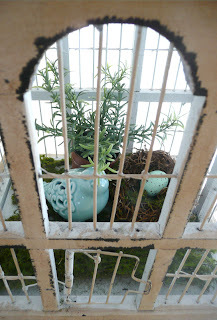 Initially I had a white bird inside the cage, but it didn't show up very well. 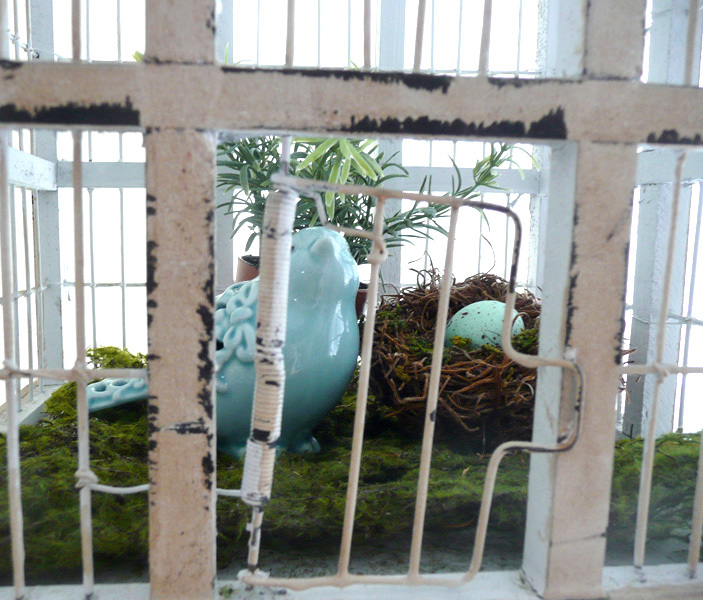 So I switched it out for the blue ceramic bird that I got at Michael's on sale for $1.20! I added a burlap runner down the center of my dining room table and flanked an old wooden box with a pair of vintage enamelware candle holders. 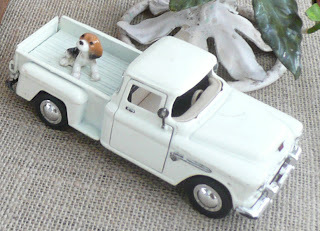 I put an Angel Vine plant in the box and added an old 1955 toy Chevy pickup truck (complete with a beagle in the truck bed) just for fun. 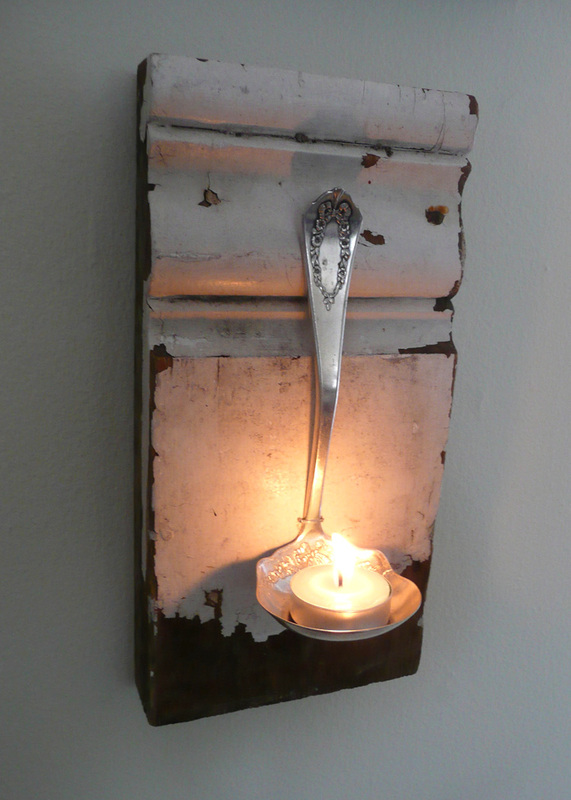 Have you been decorating for spring yet? 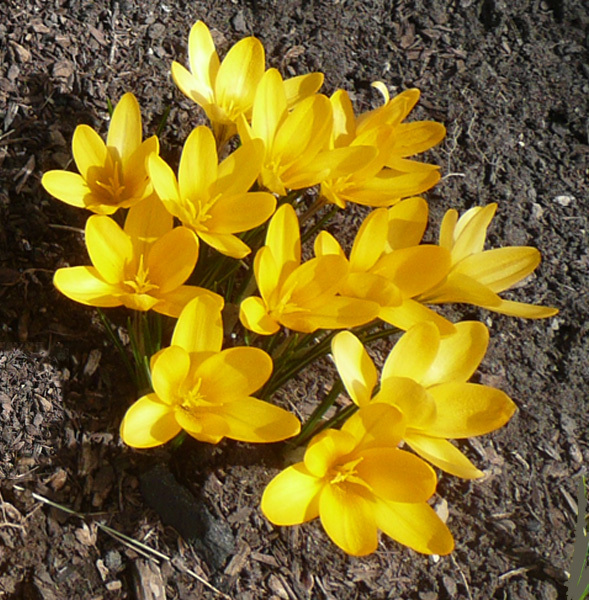 What kind of flowers are blooming in your garden? Good morning and happy Monday to you! Just thought I would share a couple of projects I've been working on lately. 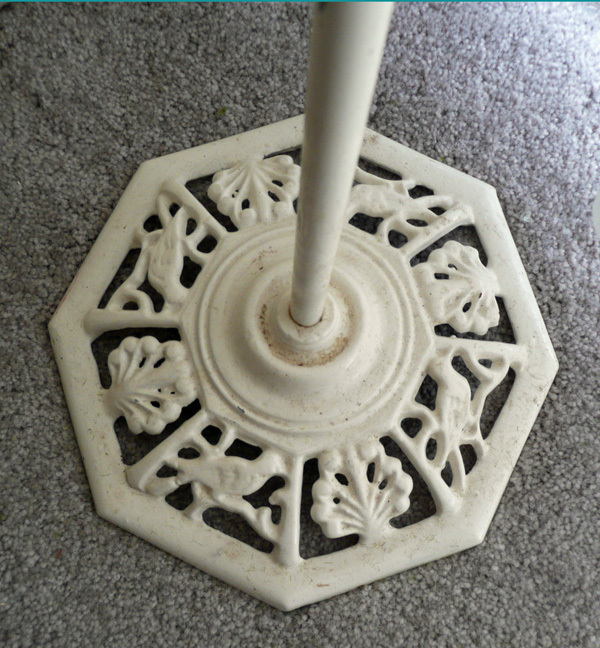 The first one (shown above) is something I've been wanting to do for a long time, but couldn't find the perfect architectural piece. After many trips to the flea market I finally did! I attached (stapled, actually) a silver ladle to the wood, added a votive candle and voila...I have a beautiful shabby chic wall sconce! Easy peasy! 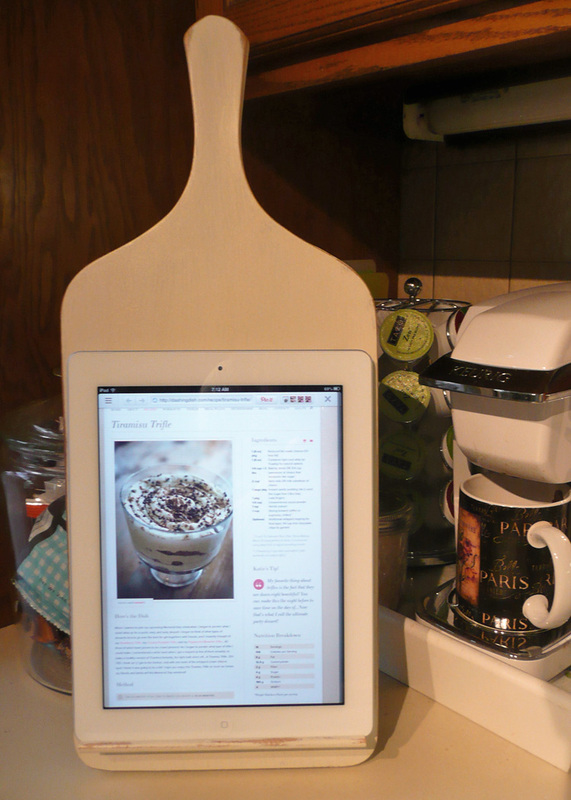 This next project I made for my daughter, who likes to use her iPad in the kitchen to display the recipes she pins on Pinterest while she is cooking. I found this great idea here and followed her directions to the letter to build this Pottery Barn inspired tablet holder! The last project is one that was 4-1/2 years in the making! 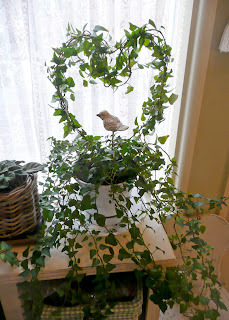 This is ivy plant started out as cuttings from the table settings at my daughter's wedding. I stuck them in water until they formed roots and then planted the cuttings. 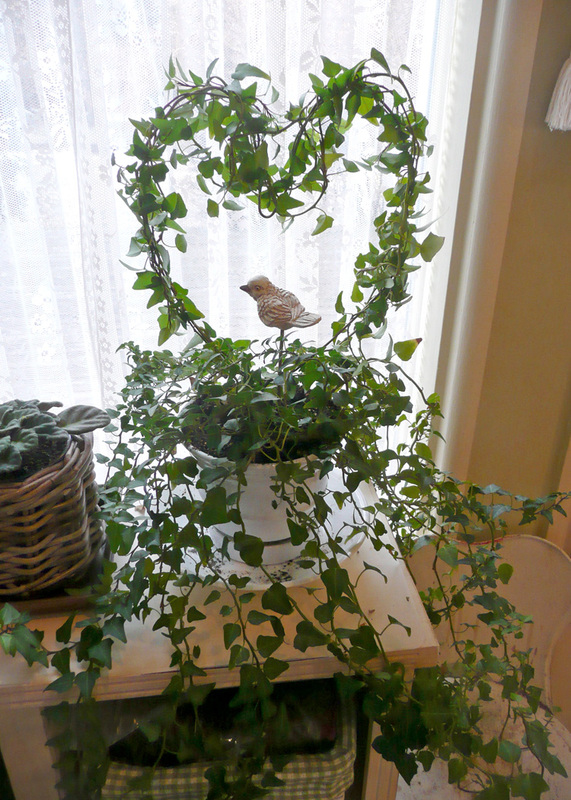 This plant enjoys it's sunny window location and has thrived quite well. 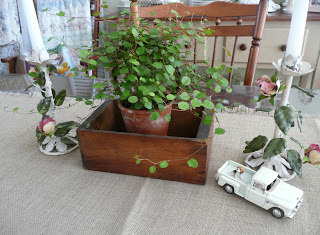 I continuously give it a "haircut" and start new cuttings, just in case the original should plant die. Anyway, I always wanted to make a heart-shapped topiary out of the ivy plant, but I've never been able to find a wire topiary form at my local craft stores or nurseries. A few weeks ago I had one of those "lightbulb moments" and thought maybe I could form my own by bending and twisting a wire coat hanger. It worked and so far so good - I haven't killed the plant yet! 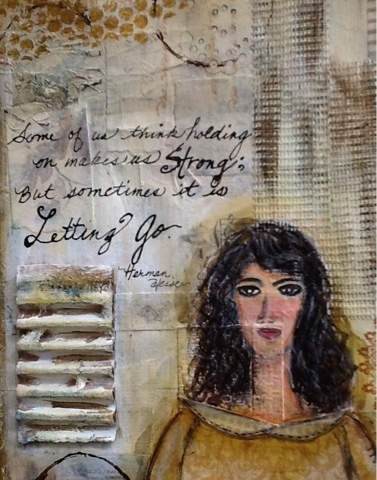 My head is filled with anticipation because this coming week I will be starting Jeanne Oliver's new art e-course entitled, "The Journey of Letting Go - Creating Beauty From Ashes." I'm not 100% sure what all it will entail, but I've taken all of Jeanne's e-courses and each one was worth every penny. If you think the class sounds intriguing, you can read more about it here or watch a video about it here. I hope you can join us in this four week adventure! 1. I use very little salt when I cook. 2. "Titanic" is one of my favorite movies. 3. It's supposed to rain a little tomorrow. 4. Spring time is finally here! 5. I said "You are such agood friend to me," and then she said, "That's what friends are for." 6. Deep dish cheese pizza is what I'm craving right now! 7. And as for the weekend, tonight I'm looking forward to going out to dinner with friends, tomorrow my plans include working on my taxes and Sunday, I want to...hmmm....I haven't quite decided yet, but I'm sure I'll think of something! 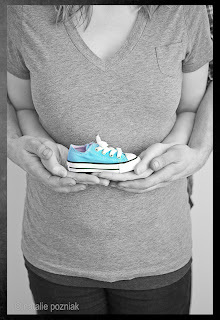 They're having a B-O-Y! 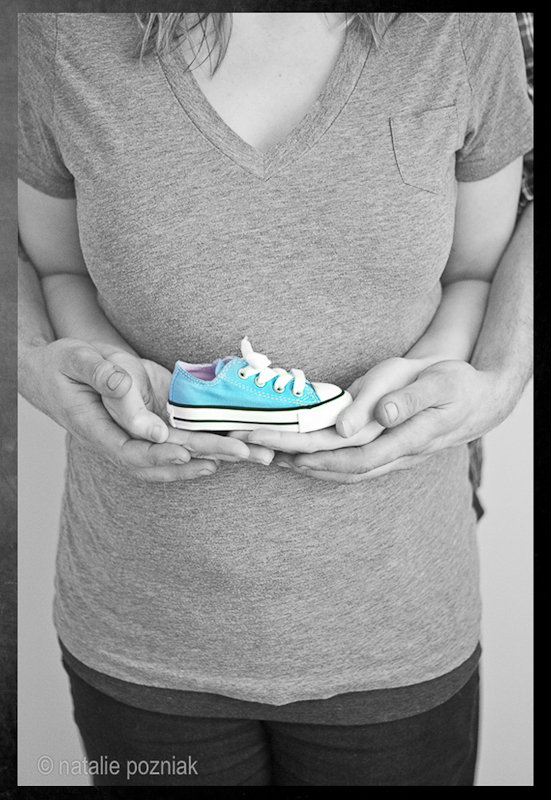 My daughter and son-in-law found out last week that they are going to be the proud parents of a baby boy. The due date isn't until the end of summer, but my daughter never was able to keep a surprise to herself. We are all so happy!